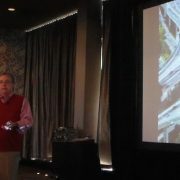 With key 800 MHz licensees in Mexico completing their spectrum relocation, there is a “light at the end of [the] tunnel” of the massive and oft-delayed 800 MHz rebanding initiative, an FCC official recently told the governing board of the National Public Safety Telecommunications Council (NPSTC). Demand for spectrum to support U.S. land-mobile-radio (LMR) networks is at its lowest level since 2001, with the number of license approvals projected to drop by more than 50% since the 2013 narrowbanding deadline and by more than 40% during the past two years, according to statistics from the FCC’s Universal Licensing System (ULS) online database. 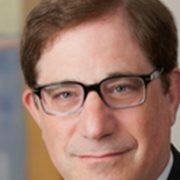 Alan Tilles, a partner in the law firm of Shulman, Rogers, Gandal, Pordy & Ecker, discusses new interference issues that 800 MHz public-safety LMR systems are receiving from cellular carriers even after rebanding is completed in a geographic area. 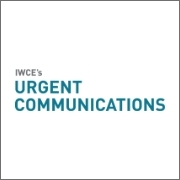 In many cases, rules associated with the FCC’s original rebanding order can be used to help rectify the problems, Tilles says in this conversation with IWCE’s Urgent Communications Editor Donny Jackson. 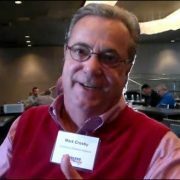 Mark Crosby, president and CEO of the Enterprise Wireless Alliance (EWA), speaks about EWA’s efforts to educate wireless dealers about managing the limited spectrum available and his organization’s role as a spectrum coordinator. 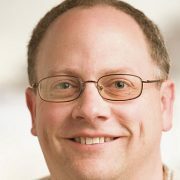 He also speaks about the Wireless Leadership Summit providing an education source for wireless owners on how to adapt in the growing culture of wireless dealer consolidation. Utilities and critical-infrastructure entities should embrace the notion of the Pacific DataVision (PDV) offering to provide broadband services to such users, if technical issues are addressed and the prioritization commitments are made. At this junction, these critical-infrastructure groups need as many broadband options as possible. It has taken much longer than originally expected, but 800 MHz rebanding is almost complete in most of the United States 10 years after the FCC established a plan for the spectral reconfiguration of the band. Was it worth the effort?